South East Coaches for the loan of the mini bus and trailer, to enable the volunteers to travel to/from Moldova. Tap Warehouse have provided discount on the sink taps we required for the 2015 project. Altro Floors for donating lino flooring for the 2011, 2012 and 2013 projects. 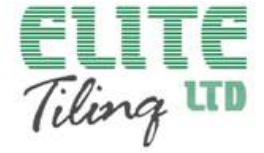 TEECH are lucky to have a donation of floor and wall tiles, in various shapes and sizes, along with grout already for next years project.They have been donated by ﻿﻿Elite Tiling Ltd﻿ ﻿of Chelmsford, Essex. 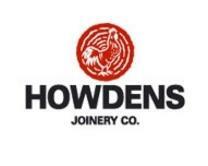 Howdens of Clacton are once again supporting the charity, by donating two doors which will be used at the entrance of each bathroom being created during the 2015 project. ﻿Kingfisher Leisure & Workwear﻿ provided at cost price t shirts for the team in 2015 after TEECH changed location of the project at the last minute and had no budget left for the shirts. ﻿B.Danby & Co Ltd﻿﻿ have donated two shower trays and 4 showers for the 2014 project. Help and support from the new supplier is really welcomed by TEECH as we are on a very tight budget so all help is fantastic. Clacton Bathroom Superstore provided an excellent discount on the sanitary ware for the project for another year running which is a huge help on a tight budget. Signs Made Easy of Clacton have once again done a fantastic job on the TEECH van (the newer one! ), designing and putting signage and picture on for free. They also provided stickers for the lorries. The charity Trade Aid provided kits for a plumber, builder, electrician and carpenter for TEECH to take to Moldova and find good homes for. The kits were donated to those who could develop their skills and have the right tools for the job where they would not normally have the funds to buy tools and help with their work.